Over 10.35 million people are in prison globally, and prisoners have a disproportionately high rate of mental ill-health; research suggests that around one in seven prisoners has a serious mental health condition. This guide, which was produced with the financial assistance of Matrix Chambers, as well as contributions from a range of international and national mental health experts and practitioners, seeks to help prison staff understand and respond appropriately to the mental health needs of adult prisoners. 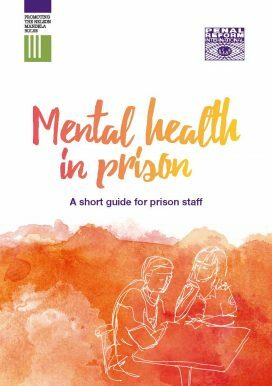 It focuses on how prison staff can promote and protect mental health and well-being and enable those with existing conditions to function better in the prison environment. Guidance is based on a human rights-based and holistic approach, as required by the UN Standard Minimum Rules for the Treatment of Prisoners (the Nelson Mandela Rules).